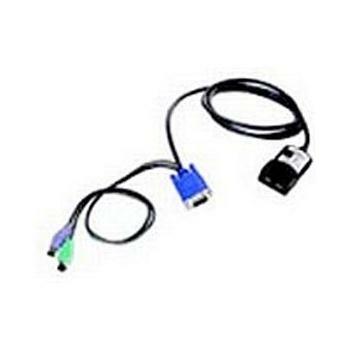 39M2897 - IBM 1.5 M KVM Conversion Option(4 pack) - These intelligent CO cables with Cat5 design dramatically reduce cable clutter while providing optimal digital display resolution and video settings. The built-in memory of the CO cable simplifies configuration by assigning and retaining unique target device identification codes for each attached target device. This integrated intelligence enhances security and prevents unauthorized access to a target device through cable manipulation. The CO cable is turned on directly from the target device and provides Keep Alive functionality when the appliance is not turned on. The COcables enable local and remote KVM connectivity to target devices that are attached to the appliance. Each appliance has ARI ports for connecting CO cables.